Use this notebook as an additional learning tool to assist students in developing an awareness and discipline for science that mimics that of professional scientists. 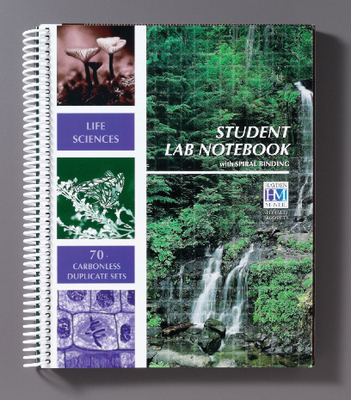 Each notebook has a table of contents for students to log their experiments and 70 carbonless sets of pages that are sequentially numbered and micro-perforated on the bottom copy. The notebook also contains safety information, notebook guidelines, and a variety of life science reference information.